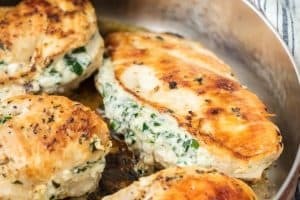 Is this a chicken recipe? Interesting! 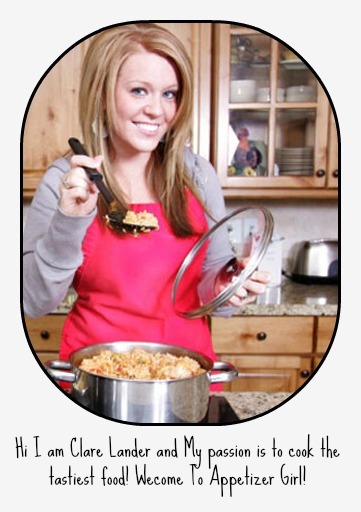 I have that same question when my cousin introduced me to this recipe. I thought it has chicken on it or a combination of chicken and beef. Too funny my assumption is wrong! 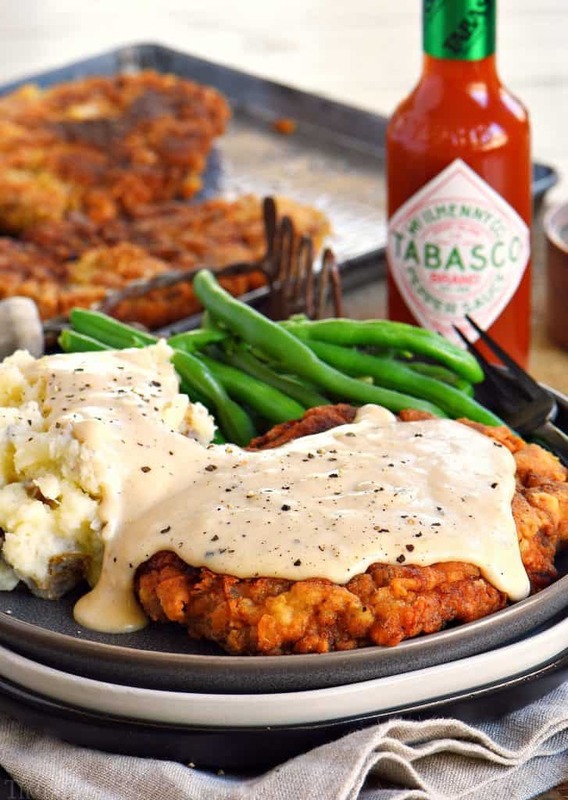 When I was a teenager I used to visit my aunt’s place twice a month and this Chicken Fried Steak Gravy is the most requested recipe of my cousin. I still remember how her eyes widen every time she knows that her mother prepares this recipe for a meal. Such a cute gesture. 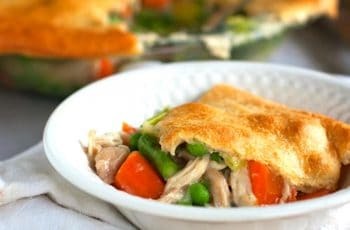 It took me long before trying this recipe at home especially at that time I was just good at eating. I cooked it many times until I made it perfect according to what I want it to be. Why Is that the name of this recipe is Chicken Fried Steak Gravy if there are no chicken ingredients on it? Just like what we did in a piece of chicken we breaded it then fried it. Simple as like that. The main ingredients with this recipe are cube steak. It’s a good thing that I can buy a tenderized steak in the supermarket if I feel lazy. To season the steaks marinate it with salt and pepper for 5 minutes or more since I don’t want the steak to be bland. The fun part in preparing this recipe is dipping the steak in dry mixture then wet mixture then in dry mixture once again. For the dry mixture, I combine the salt, paprika, black pepper, powdered garlic, onion, baking soda, and baking powder. Then dip it in buttermilk and egg mixture. Then once again in the dry mixture and NOW it’s calling for the skillet. This is it. Topped with smooth gravy! Can’t get enough of this. You might want to try the other beef recipe that I made the Beef with mushroom cream sauce. In a deep bowl, whisk together flour, one teaspoon black pepper, one teaspoon salt, paprika, onion powder, garlic powder, baking soda, and baking powder. Set aside. In a separate shallow bowl, whisk together buttermilk ,tabasco sauce, and eggs. Set aside. Pat cube steaks dry with a paper towel, removing as much moisture as possible. Season with one teaspoon of salt and one teaspoon of pepper. Let sit for 5 minutes and pat dry again with paper towel. Dredge the cube steaks in the flour mixture, shaking off excess, then dredge in the buttermilk-egg mixture, letting excess drip off, and then once again in the flour mixture, shaking off excess. Place breaded cube steaks on a sheet pan or metal rack and press any of the remaining flour mixture into the cube steaks making sure that the entire steak is completely coated. Let sit for 10 minutes. Preheat oven to 225 to 250 F.
Meanwhile, heat vegetable oil in a heavy skillet or large cast iron skillet over medium high heat. How much oil you need depends on the size of your skillet. You want it to be about 1/4-inch deep. We aren't deep frying the steaks, just shallow frying. Test the oil by dropping a bit of the breading into in. The oil should sizzle and bubble around the breading. Look for the oil to be glistening but not smoking - about 320-340 degrees F. Now we're ready to fry. Place the two steaks into the pan at a time and fry for 3 to 4 minutes on each side or until golden brown. Do not flip more than once or the breading will fall off. Do not fry more than two steaks or the pan will be too crowded and the breading will fall off. Remove steaks from pan and drain on paper towels. Place in preheated oven. Turn skillet heat to medium. IN MAKING GRAVY: Pour the remaining grease into a heat safe bowl or glass measuring cup. DO NOT scrape the skillet clean. We want all of those bits of taste to remain in the skillet so they can flavor the gravy. Add back in 4 tablespoons of the grease to the hot skillet. Whisk in flour and continue whisking for two to three minutes or until nice and golden brown. 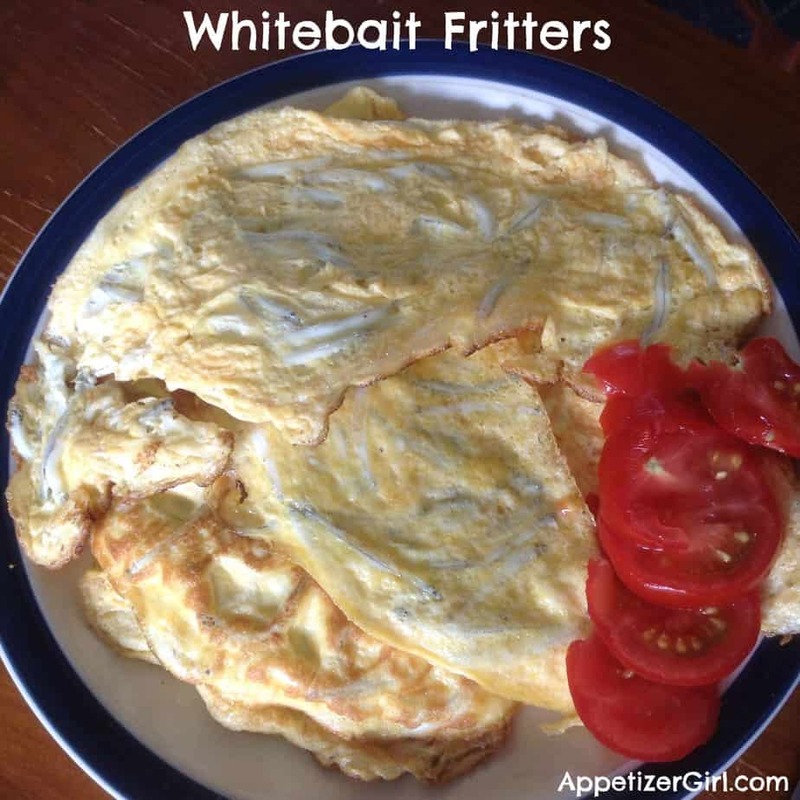 Combine the cream and milk and slowly drizzle in about 2 1/2 cups into the skillet, whisking constantly. It might look a little crazy right at the beginning, but it will all come together. 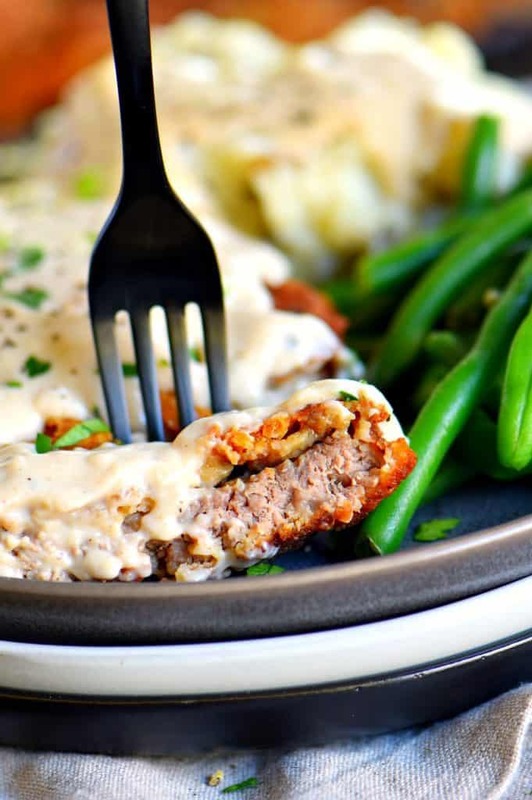 Serve the chicken fried steak with gravy and mashed potatoes and your favorite green veggies.